AIRMEC for over 30 years realizes technological installations, with particular reference to air treatment, air filtration, reorganization of workplaces and production of energy from renewable sources. 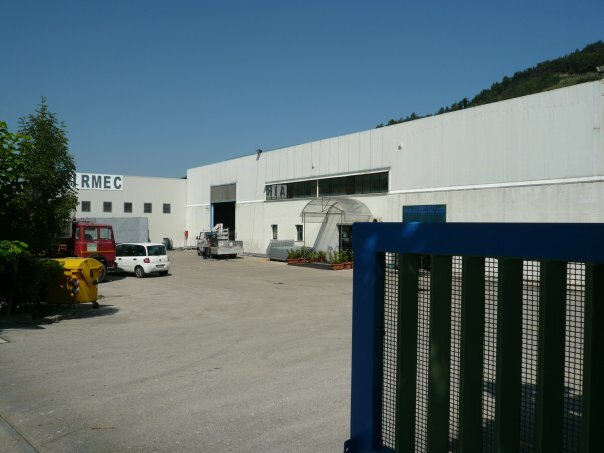 Airmec operates in different fields including: engineering, agri-food, carpentry, textiles, furniture, paper mills, foundries, sawmills, automotive, aerospace, shipbuilding, tanneries, tobacco factories, cement factories, manufacturing in general. The company adopted a process of operational research and an inclination for innovation as a basic asset of its corporate culture. Airmec is therefore particularly oriented towards Research & Development and has chosen to implement an investment program to be allocated to Research. Airmec is an incubator of ideas and promotes products for renewable energy and energy efficiency market, promoting the best technical-industrial and strategic financial support for them. In this context, Research and Development has a staff of about 15 between researchers and technicians with mechanical, electronic, software, technological specializations, extensive design skills of machines and systems, as well as of technology applications in the fields of physics, electronics and materials. Research and Development areas are equipped with design stations, simulation software, prototyping areas and scientific test equipment. Since 2011 Airmec has developed a new business branch: “Airmec Energy” which supplies technologies in the renewable energy field. The company operates in energy efficiency and offers its consulting for design and construction of hydroelectric plants, photovoltaic plants and cogeneration plants. The Airmec also provides a prototyping and mass-production service based on an innovative technology through 3D printing, promoting the use of biocompatible material (PET and PLA) in the philosophy of a 100% green production. The internationalization allows companies to grow in European markets where the ability to customize their products, together with competitive prices, leads companies to diversify risk and to access to new and more profitable markets. The technological core of AIRMEC was centered on its know-how and its patents, these elements were main factor of international competitiveness. Over the years the company has carried out missions abroad and participated in trade fairs in all major European and non-European cities.